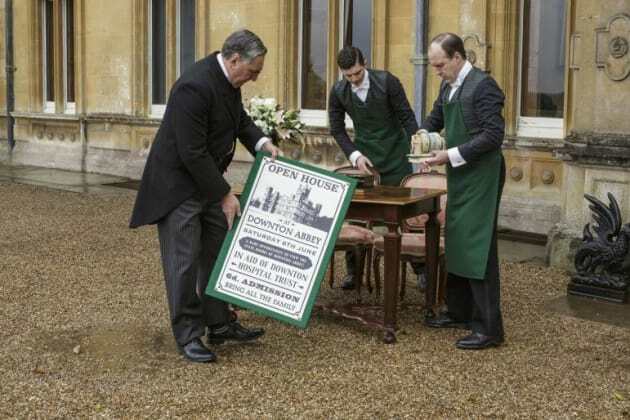 The Crawleys open up Downton Abbey for a day to raise money for the local hospital. 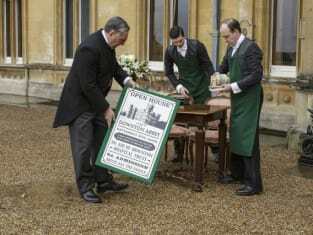 Downton Abbey Season 6 Episode 6: "606"
Thomas: Mr. Carson, how long do I have to work in this house before I am given any credit? Carson: That is all very well, but we are talking about a vulnerable young man, and I must look to his welfare. Thomas: Yes, and if I were to give you my word of honor that nothing took place of which you would disapprove? Carson: If I could just be sure. Thomas: So my word is still not good enough, Mr. Carson, after so many years? Carson: I only wish it were. Permalink: I only wish it were. But what on earth can we show them to give them their money's worth? Lady Grantham knitting? Lady Mary in the bath?